Abba and Sons Moving LLC. provides options when it comes to storing your belongings. Whether it is for a short amount of time or for an extended period, we have got you covered. Often times when you are moving from one location into your new location things don’t always line up perfectly. Sometimes the new house isn’t quite ready or their was a delay and you need to store your belongings for a short amount of time while you wait for the new house to be ready. 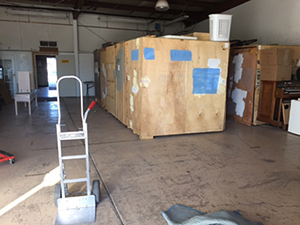 We understand this need and provide a place for you to store your items for a short amount of time. 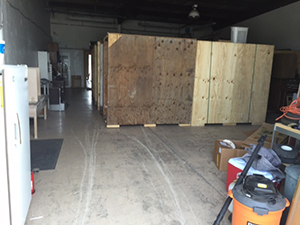 We can crate your items and store them at our facility while you wait for the keys to your new home. There are a variety of reason someone may need their belongings stored for long term. Whether your building a new home or moving to another state or country Abba and Sons can help you out with your storage needs. We offer solutions when it comes to storing your items for extended periods of time. Depending on the length of time we can offer in house storage or guide you to the best storage facilities in the area. Either way we are here to help no matter how long you may need to have your items in storage.